RANDOLPH, N.J./EWORLDWIRE/June 20, 2014 — Months before arriving in the parish of St. Andrew in Morris County, collaboration began with the Maryland congregation of Woods Memorial Presbyterian Church in Maryland. Donations provided by Southwest Airlines, the Ravens, the Orioles and other organizations, and fundraising efforts by The Youth and Their Families Ministry have ensured that this will be the 30th summer a Woods Work group will add their energy to the ranks of Habitat for Humanity and help the group journey to the St. Andrew community. St. Andrew parishioners are not strangers to hosting guests, as has been witnessed firsthand for the last 44 years by the thousands who visit the church’s biggest annual festival – Big Greek Festival, most recently held Friday, May 30 through Sunday, June 1. This year’s event broke all previous years’ records – what some could term a near-miraculous success when factoring in the close proximity to another Greek festival and an Italian festival running during the same weekend. The St. Andrew community center where the Woods group will stay during their visit is equipped with expansive kitchen facilities and showers, which, with the size of the group, is to be supplemented by portable showers. Woods Work began in 1985 with a small group who rehabbed a local church. 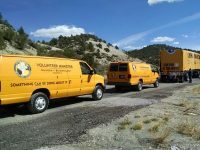 Since then, each trip has grown in number of volunteers and extended to within 700 miles of Woods church; every journey is planned by and paid for by high school students who conduct fundraisers such as car washes and bake sales. The group’s roster has previously included 53-year-old John Narer, who accompanied all previous 29 Woods Work mission trips. More information about Woods Memorial Presbyterian Church in Maryland is available by calling 410-647-2550 or online at www.woodschurch.org. 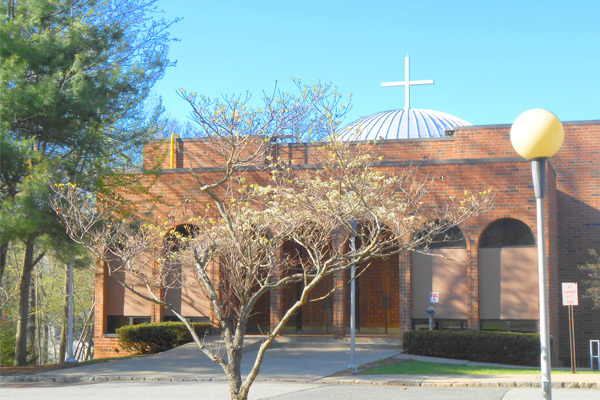 The First Divine Liturgy of the St. Andrew community of Morris County, N.J., was celebrated on December 23, 1962, in Dover, N.J.; the current church on Sussex Turnpike in Randolph was constructed in 1975. About 5 million Orthodox Christians live in the United States and are grouped into nearly a dozen ecclesiastical jurisdictions; the largest is the Greek Orthodox Archdiocese of America headed by an Archbishop, with about 500 parishes throughout the United States under the care of the Patriarchate of Constantinople. Visit http://www.standrewgonj.org.